Two members of the Oxford Fair Trade Coalition took part in the Fourth International Fair Trade Towns Conference in Oxford’s twin town, Bonn, on 5th-6th November 2010. The conference brought together Fair Trade Towns campaigns from across the world to share learning about promoting local work on Fair Trade. The event provided a great opportunity for forging and renewing Fair Trade links with our Twin Town. 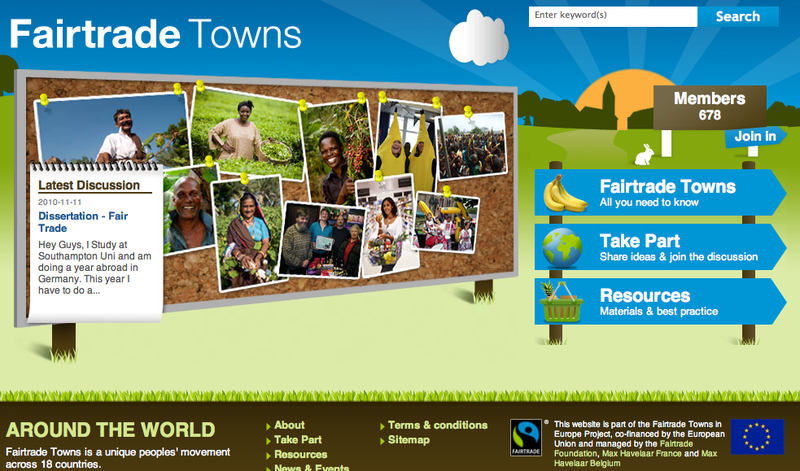 You can find out more about the International Fair Trade Towns Campaign on their website. This entry was posted on Tuesday, November 16th, 2010 at 6:12 pm and is filed under Uncategorized. You can follow any responses to this entry through the RSS 2.0 feed. You can leave a response, or trackback from your own site.